North Carolina Brass Band: "This Is a Brass Band!" One of the standout pieces in the brass band repertoire is Joseph Turrin's "Prologue," which uses a narrator to call attention to some of the characteristic colors and capabilities of the ensemble. As the narrator's voice leads the musicians from chamber-like delicacy through lush lyricism to blazing climaxes, the words "versatility" and "virtuosity" seem to ring in the audience's ears as a perfect summation of the brass band. The North Carolina Brass Band's opening concert weekend for the 2015-16 season is titled "This is a Brass Band," but it might just as well be called "Versatility and Virtuosity." Conductor Brian Meixner and the ever-capable ensemble proved to the audience that as a musical force, the brass band is no novelty imitator of the symphony orchestra or wind ensemble; it is a fully capable vehicle for powerful and poetic musical works. Turrin's "Prologue," featuring narrator Robert Overman for the NCBB's performance at Ardmore Baptist Church, is an intentionally illustrative example of the brass band repertoire; but with an ensemble this good, almost any single piece demonstrates the power and color available in a brass band. 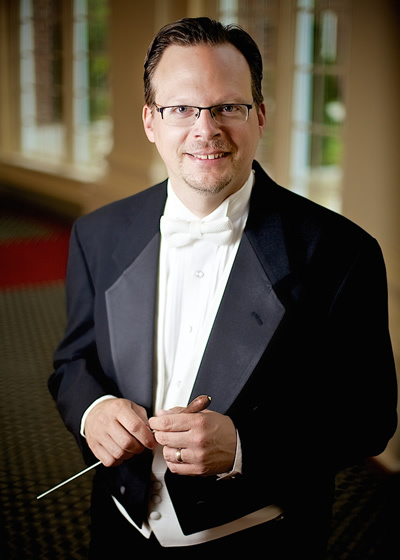 Opening the concert was a borrowing from one of the world's most famous wind ensemble composers (and a North Carolina resident to boot), Steve Bryant's "Ecstatic Fanfare," arranged by Alan Lourens. This piece makes fine use of a feature that might surprise new brass band listeners: a full percussion section. The NCBB's three percussionists, led by principal Danny Frye, are key to the ensemble's chameleon nature. A xylophone atop the cornets gives the impression of flutes and violins in octaves; tympani below the tubas serves the same purpose as pizzicato basses and cellos; and crash cymbals and tam-tam crown the climaxes with a glorious, shimmering cascade. In another Turrin work, "Hymn for Diana," composed shortly after the death of Princess Diana, we heard a different side of the brass band. The work makes beautiful use of the ensemble's "mellow choir," featuring the round, noble sound of horns and euphoniums. The piece's solemn lyricism is a beautiful tribute to the late princess. The second half opened with "Jubilee Overture" by Philip Sparke. One of the brass world's most beloved and prolific composers, Sparke knows how to use the ensemble as well as anyone. "Jubilee Overture" lacks the depth and sophistication of some of the other works on the program, but it is a bright and thrilling opener full of marvelous sounds. The next piece represented, for my tastes, the only questionable work on the program: Dave Brubeck's famous "Blue Rondo a la Turk" arranged by Kevin Edwards. Meixner mentioned how well brass bands take to Jazz repertoire, and on first glance the pairing seems a natural fit. But this particular example falls short. While "Blue Rondo" occasionally allows the ensemble to take on some of the glorious shouting character of a big band, Brubeck's delicate voicings and pointed rhythms are truly more at home in a jazz combo. Laid atop the brass band, the subtler moments in "Blue Rondo" had all the finesse of a tap-dancing elephant. That said, the band performed well, and "Blue Rondo" is a perennial favorite always certain to please the crowd. I am especially interested to hear some contrasting arrangements in NCBB's Spring series, entitled "All That Jazz." The second half also contained some moments of comedy. In Henry Fillmore's "Lassus Trombone," arranged by the NCBB's own Seth Frack, the three trombonists donned hard hats and reflector vests before making their way to the front of the stage. Though jokingly referred to by Meixner as "dangers to themselves and others," Frack, Drew Leslie, and Sean Devlin carefully navigated the many unison slides in Fillmore's showpiece with pristine intonation. Closing the program was a truly extraordinary work, Edward Gregson's "Connotations." Meixner explained to the audience that this work was commissioned as a competition showpiece, and as such it puts the ensemble and its soloists through their paces. Indeed, "Connotations" includes solos for each section (percussion included), huge dynamic contrasts, and every conceivable texture from fugue to high lyricism. Meixner described this work as a masterpiece, and under his expert baton and the ensemble's passionate performance, the work lived up to that description. I can't imagine a more effective concert closer, or a more apt summation of a brass band's capabilities. NCBB is one of North Carolina's finest performing ensembles. If you are in the mood for extraordinary musicianship applied to a uniquely powerful and colorful combination of instruments, watch for upcoming performances, and sit back: this group will impress your ear, mind, and heart. For more information about tonight's performance, see the sidebar.